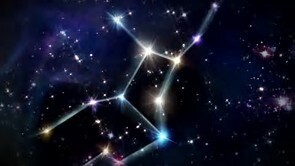 The aspects of love are as innumerable as the stars in the heavens. This is because love is a process of continual revelation, responding to the ever-changing tones of spirit in matter. Love is our stock as beings of the earth; without its restorative quality we’d be unable to function in our daily activities in the world. The most powerful aspect of love in existence is the reflection of the opposite principle in physical form. This invokes the feeling of incipient love, arising from the recognition of the formless divine love within the body. For a woman, this is the most beautiful man; for a man, the most exquisite woman. This magnetic source of attraction is the initiating factor that triggers every life recurrence as the perennial search for completion as love in the world. The aspect of love familiar to us all is personal love. The subconscious effect of the personal love of my mother, father, lover or children is emotional attachment. Attachment arises through the focus on a particular aspect of love in exclusion of the whole. Consequently our relationships are often spasmodic, with actions and words likely to be misinterpreted and distorted through the aberrations of the emotional self. The way of love ensures that whatever is loved personally will inevitably turn to pain, since all forms must eventually leave or depart through physical death. Paradoxically, it’s the suffering and heartache experienced through the living life which directs us towards the purity of impersonal love. When an individual has suffered enough, which reveals itself as a climacteric point in the living process, the conscious detachment from personal to impersonal love begins. This is the most agonising death of all. To begin to love impersonally is to have discovered a higher love that is not reliant on the caprice of emotional feelings. Love is not an emotion. All emotions vacillate between the pleasure and pain of existence, whereas love is an unwavering state of stillness and equilibrium. It’s this timeless quality of love which makes it so universally appealing. Love is the direct communication of the innate wonder and beauty of life, and can only be realised in the present. However, the common experience of love is based on past impressions and emotional recall. People tend to make a concept of love and settle for a pale replica of the real thing. The love of art, music, nature, friends, pets, hobbies, food, sport, or anything else, are all lesser aspects of love and eventually lose their appeal. As love becomes broader, the focus on what was previously valued reduces in intensity and the desire for repetition is diminished. The truth is that experience as a need is the attachment to existence and the cause of all pain and suffering. Pure love, released on a wave of purified space, emerges as a unity of light from the realms of higher mind. As love passes through the gradations of the psyche it picks up the emotional residue of human experience. The further it extends towards the coarser vibrations of the sensory world, the greater the depletion of love’s virtue. Although love never varies and is experienced as exquisite beauty by everyone at some time, what is different is the clarity of space within an individual’s subconscious. For someone whose love is exclusively personal and coloured by emotional feelings, the subtlety of impersonal love will be less discernible and unable to be consciously realised. Nevertheless, love ceaselessly endeavours to restore, in the outer realm, the unity of the original state of being. Although love fails, since this is impossible in a divisive world where bodies and objects are separate from each other, love perseveres regardless towards union with the source of its inspiration. The secret of love is its mystery. No mind can ever solve it, or ever will. This is because each of us, in our deepest centre, is love. It’s impossible to know what I am – only to be what I am in the ever-unfolding revelation of the moment. Love is a cosmic idea which encapsulates all we can aspire to be as human beings. Love is God, the incomprehensible One whose manifold aspects we embody in life and death as immortal beings. The universe of stars and constellations are symbolic of the celestial aspect of love, which gives existence its immeasurable depth and purpose. This divine aspect of love is realised through loving the Source itself before any object or person. The integrity of life ensures we’re all disabused, eventually, of our false concepts and notions of life – until what remains is the idea of love itself, resplendent as the radiant point of the spiritual essence of the earth.